Wondering if any of you have a tip or to for a novice on using rapala plugs. It seems salmon favour orange/gold colours by the look of many reports. What is the main reason for this? Is it because these colours stand out better and therefore noticed? Also what is the best method for fishing for salmon with plugs. Do I cast upstream or downstream? What sort of angle should I cast at? Finally is a slow retrieve best? Apologies for my complete ignorance. Keen to learn for you pros. Orange is a popular colour, but the green one, is it "firefly" is also very popular in Ayrshire. Some anglers swear by black and silver ones. I suppose it depends on the water conditions. A bright fluorescent orange/gold one is best in coloured water. Generally casts are across and downstream. 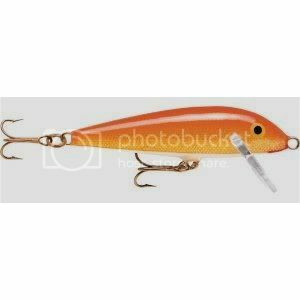 A lot of anglers use the floating rapalas and let it float into position with the current before starting to retrieve. That is a useful technique in order to get under trees etc. Speed of retrieve depends on current speed. If the current is really fast you won't need to retrieve until it swings out of the current, just hold the lure and it will move with the resistance through the flow. Start to retrieve faster as it swings out of the main current. 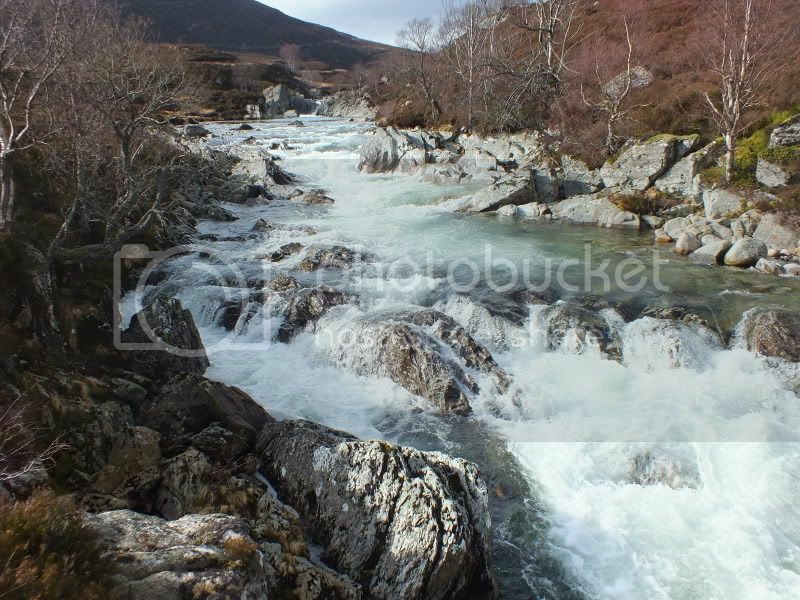 In slower flows you can vary the speed as you like. Finally, they come armed with wicked trebles. A lot of rivers only allow one set of hooks so you should remove one, or more depending on the number at the start and replace the tail treble with a bigger one. 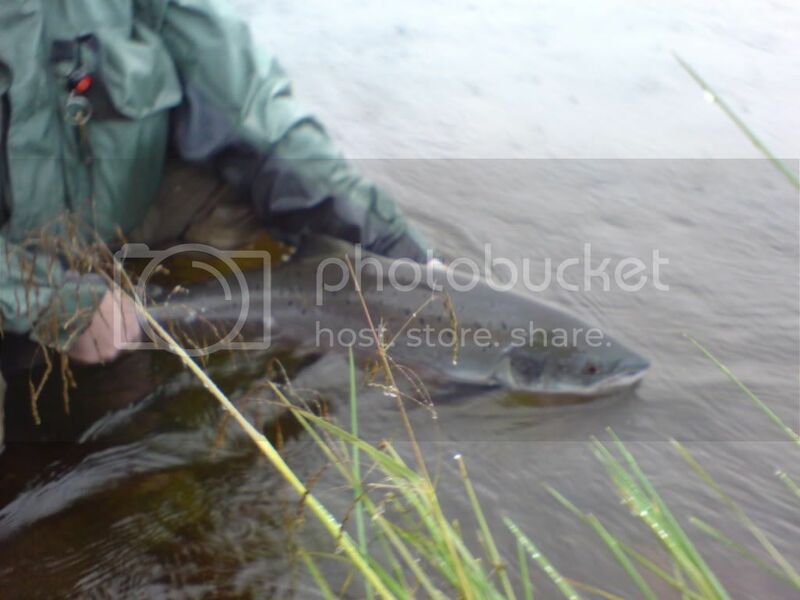 There is no place for a lure with more than one set of trebles in salmon fishing. If a fish is hooked by one set of trebles the other set can do a lot of damage. 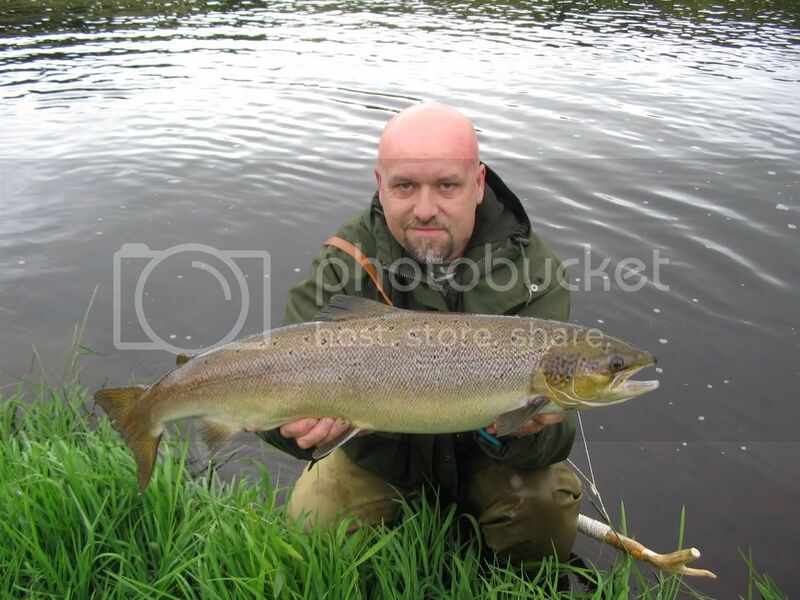 I have seen anglers trying for ages to get the hooks out of a small sea trout or similar and it would be almost dead when they eventually got it unhooked and back in the river. They are really effective lures for salmon, but give me a fly rod any day. Thank you very much Builnacraig. At the risk of shocking a few people, I can report that I caught a lovely 12lb salmon on the Conwy yesterday, on a Orange/Gold Rapala Countdown lure. I haven't spun for salmon for nearly 10 years, and I've never used a Rapala before. I bought some plugs and a new spinning rod in May, to do some bass fishing around Anglesey, because the local rivers were at drought levels until late June. The Conwy has been in flood for a few weeks now, generally too high for the fly, so I decided to have a go at spinning - I've been going out with the fly rod as well, but having the spinning rod does open up a lot more fishable water at high water levels. To cut a long story short, yesterday evening was very quiet, nothing to the fly so walking back to the car I decided to spin a likely looking pool which is mostly unfishable with fly due to high vertical banks. 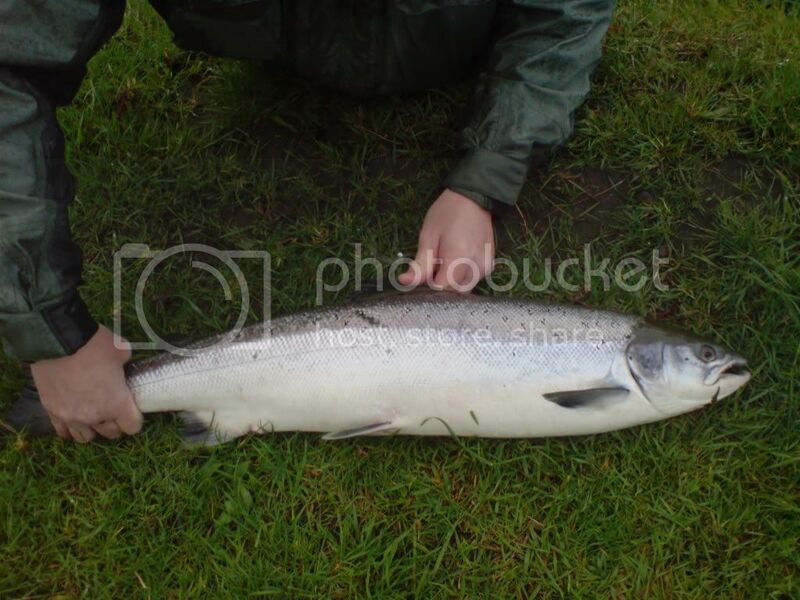 In the space of 15 minutes I caught a salmon and two sea trout to 2.5 lb. All fish were returned, but the smaller sea trout did suffer some hook damage - the 'free' tail hook had managed to hook the fish in the belly. I have to agree with everything B says above, especially about the trebles. Something I need to address for the future. However, I have say that fishing the countdown rapala was good fun - they fish deep in heavy water and you can put a bit of thought into how you fish them; casting up and across to get them sinking worked well for me. Cracking fish there John well done. Also used a variety of Rapala's initially using a small weight (to get distance) but after changing to a very fine 30 lb Pro-Power braid (which I was given by a fellow fisherman)....without the weight....and this also really opened up the river and I could easily reach the other side of the Tay even with my basic casting skills. Rapalas are popular on the Tay when harling,but the Toby seemed to get the better fish when I was fishing. They are a tool in a vast armoury to be tried.As has been said there's a lot to recommend fishing a fly too. On the point of removing hooks,which as stated are paramount to fish welfare.If you remove the "extra" trebles completely you affect the lures action.I have in the past removed the bend of each prong of the hooks,but left the straight body of the treble so as to minimise this imbalance,but it removes any sharp bits that would damage a fish. Tobies do a lot more damage to fish than 3 hooked raps. The most damage is when the fish must take the toby across it and when you strike you pull the toby through its mouth and hook it on the out side of its face, eye normally badly damaged. If spinning from the bank with a rap the slider is the best you to you if you wanna use 1 hook. I've a good bit of experience using Rapalas for Salmon and Sea Trout and now use just 4 colours and 2 different sizes of the countdown variety, these will cover you for all the differing stages of floodwater. Starting in the dirtiest water (you will catch fish in water so dirty you can't see the lure an inch or 2 under the surface!) of the flood, fish a CD7 FT, that's a countdown 7cm in Fire-tiger colour (I expect this is the one builnacraig was referring to), as the colour starts to drop out switch to a CD7 GFR or Gold Fluorescent Red (which is actually orange! ), as the colour continues to drop change to a CD7 G or Gold followed by a CD7 S or Silver and finally when the waters clear but still a bit high and fast for a fly, a CD5 (5cm) S or Silver. After many years of fishing and using too many different lures to remember, I now stick to the above system and have total faith in it. As to how to fish them, it depends on conditions but as a general rule, the dirtier the water the slower I fish them but find most success making a square cast and letting the current bring the lure round like a fly, only winding very slowly. I always use braided line and you will feel every bump as the lure swings round and some pretty savage takes! That's some useful advice Paul, thanks for posting. CD9 And CD11 seem to be useful and poular sizes on the rivers I fish - have you tried the bigger sizes? Nice guide there Paul, thanks for posting. I see you prefer the smaller sizes, some of the most effective rap fishers I meet also have that view.